Have you ever thought you can use social media to convert your followers and fans into your paying customers? Social media has a 100% higher lead-to-close rate than outbound methods. Do you really knows how to do this? Don’t worry this post will show you the smart ways how to turn prospects into customers. Your social media profile is the mirror of your personality, it shows a lot about you, your job and interest. It should be real because when you outreach a new contact or prospect, the first thing they will do is investigate your profile. Your profile should be effective and complete. Bio or Description – Bio is a vital part of the profile. It shows basic information about yourself, your company’s website and email. Image – Always use a simple image for your profile picture. Make sure you use the same image in your all social media sites’ profile image. It will help people to connect with and trust you. If someone is following you on Twitter might be searching for you on Linkedin, using the same profile picture. Using same profile picture will enhance the possibility of them finding the right account, and following you. Extra Activity – Your social media profile should be regularly updated. It should contain the latest information with accurate and fresh content. Same goes with changing your cover photos that makes your profile more interesting. When you were done with setting up your profile with the right information. It’s time to connect with other users. Search for the beloved community in your niche. Join a community that is open and regularly updated. Always don’t talk about your products or services. Don’t bother people with same content again and again. Share other interesting information as well. Don’t directly call people to buy your products. Do not abuse or fight with individuals in the community. Introduce yourself to the community that you are a loyal, trustworthy and responsible person or company. Connect with friends, followers and other people who have similar interest like you have. 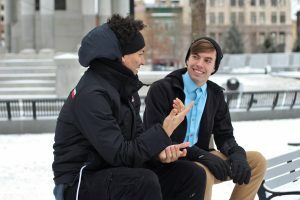 How would you find people who are talking about your products or services? Hunt for your business keyword on every social networking site. When you find the right people, then comment on their blog posts, retweet and share on your social media with friends. Search those people’s social media profile and follow them and you can ask them to follow you back. Don’t instantly shooting your offers, emails after connecting with people. First go through their profile carefully and understand them. What they like and what is their need? The moment you understand their requirements then you are ready to talk to them directly, but do it privately. A pre-scheduled call would be better but if you could not do that make sure you have sent a private message or email to them. HOW TO PROSPECT ON SOCIAL MEDIA. I learnt the following from one of my mentors. If you are doing one of the following. Guess what? You’re looked at as a spammer. 1) You go on Social Media and message random people your affiliate link to join you in your opportunity or to buy your products. 2) You’ve been reported on Social Media as a spammer. Yes people can do this pretty easily, especially on Facebook. Hence….one of the biggest reasons why people get their ad account shut down. 4) You don’t ask permission first to discuss your products or opportunity. 5) You drop your link anytime you find the “perfect” spot on someone else’s status update thread. 6) You’re part of several other affiliate program groups and you troll through the groups looking for a way to “get to know” people with the agenda to sell them. Though you have convinced yourself you’re really “just” trying to help them. 7) You engage in conversation with random people on Facebook hoping for the perfect time to drop your link without even taking the time to get to know the person at all. Bottom line, you’re leading with your pocketbook. In the past, I did a few of these thinking I was prospecting and recruiting on social media legitimately. Turns out it was just flat out awkward. Trust me I did feel genuine and it was cool to get to know that person, but again…..my end goal was to recruit them. Honestly I didn’t like that feeling of chasing. I wanted to be chased, so I ultimately gave up chasing which took hours upon hours out of my day. So, here’s what happened when we stopped chasing and stopped appearing desperate. Our Business Started to Flourish! This is how to prospect on the social media. If I send you that scripts on the social media. Will you feel bad about it? Would you be like, “What do you want?” I just told you what I want. Now, would everyone say yes? Of course not. Of course not, no matter what you say. Not everyone is going to say yes. Never going to happen. No one has. What you should look out for is, see if they’re open and then give them an out. Here’s what you should stop doing on the social media. That’s not good. Stop saying that. Even in an initial message, you’ll be shocked at how many people will actually move forward. If they don’t, it’s okay. All these are best done using the Facebook Marketing Made Easy Blueprint. Click here to check it out. ARE YOU STILL THINKING, CLICK HERE NOW! HOW TO AUTOMATE YOUR NETWORK MARKETING BUSINESS TO BUILD A MASSIVE TEAM FAST. 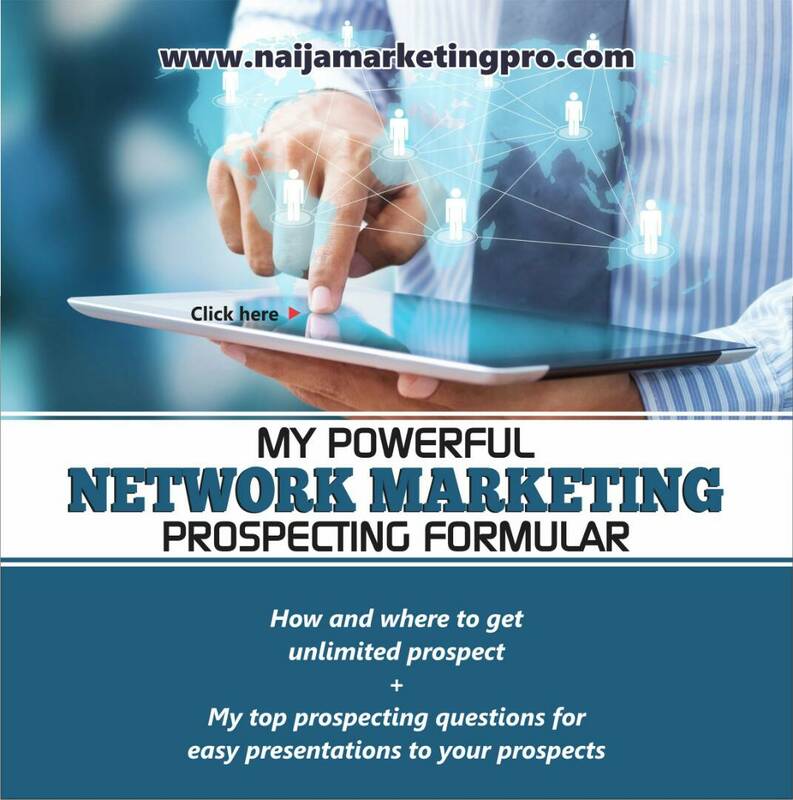 HOW TO RESPOND TO PROSPECTS WHO THINK YOUR NETWORK MARKETING PRODUCT IS TOO EXPENSIVE NETWORK MARKETING TECHNIQUES TO FOLLOWING UP WITH YOUR PROSPECTS. Scripts included NETWORK MARKETERS: HOW TO GET YOUR WORK DONE BEFORE NOON – How AOC Does It. « HOW TO RESTART YOUR NETWORK MARKETING BUSINESS.